Dr. Balganesh has three decades of experience in antibacterial drug discovery. As the Head of Research at AstraZeneca, Bangalore, he led the unit to deliver AstraZeneca’s first anti-tuberculosis molecule for clinical development. 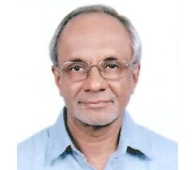 Before taking up his current appointment at GangaGen, in his capacity as Distinguished Scientist, he mentored drug discovery programs in various Indian National Laboratories under the Government of India’s Council for Scientific and Industrial Research (CSIR). Dr. Balganesh’s research experience is in the area of infectious diseases. He led the diarrheal diseases and broad-spectrum anti-bacterial project teams at AstraZeneca, Bangalore. He then went on to lead the anti-tuberculosis program. He has more than 30 publications and 10 patents to his name. Dr. Balganesh is trained as a Medical Microbiologist at the University of Calcutta. He gained his post-doctoral experience at Brookhaven National Laboratory, New York, and the Max Planck Institute for Molecular Genetics, Berlin. Dr. Balganesh has been awarded an Honorary Doctorate from the University of Uppsala in recognition of his work in tuberculosis and malaria. He is on the review panel of drug discovery programs like the ‘Innovative Medicines Initiative’; a European Union program to seeking novel treatments for Gram-negative bacterial pathogens. He continues to guide research programs in several National Laboratories in India. He is also a mentor and reviewer of programs initiated by the WellcomeTrust and the Gates Foundation in India.